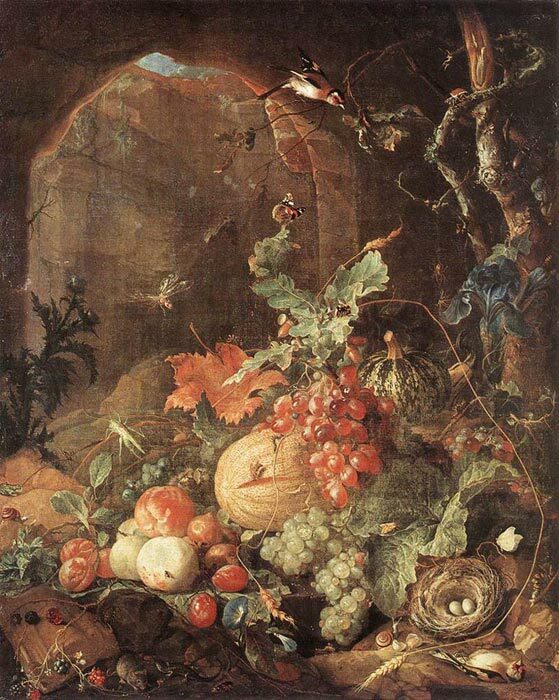 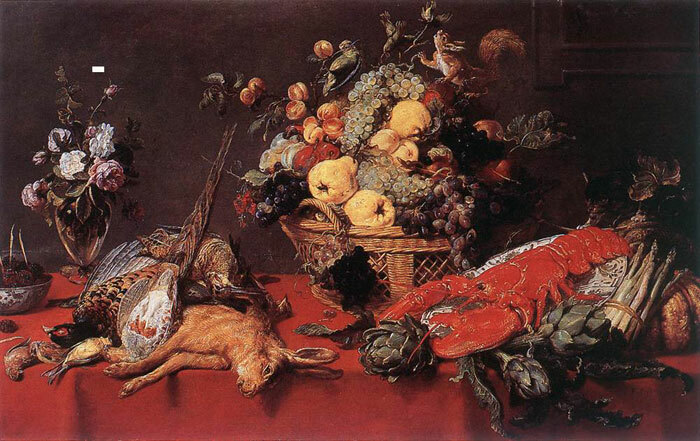 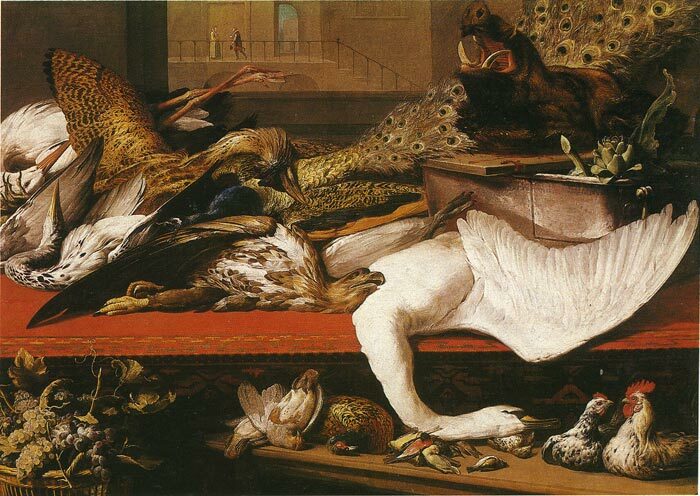 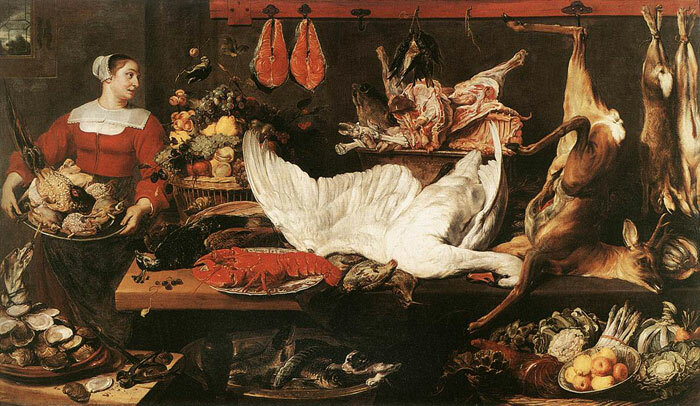 In Western paintings, still life paintings often appear as a minor feature of the design. 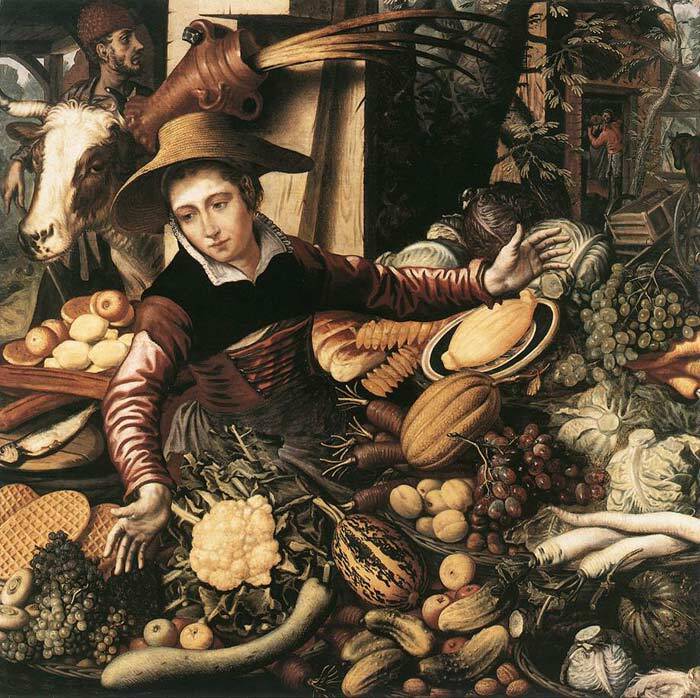 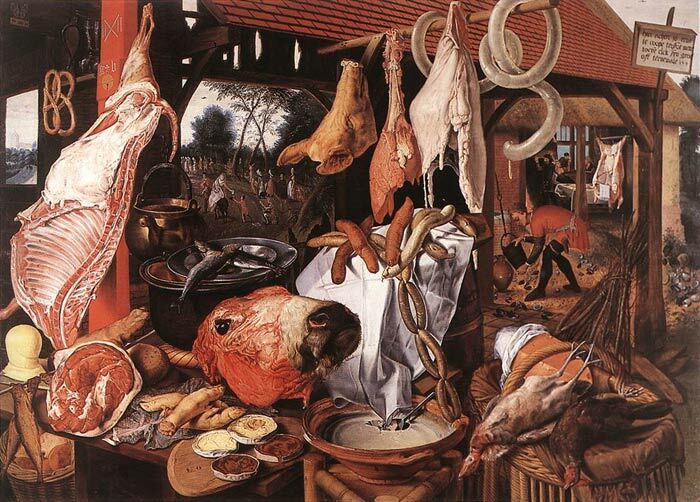 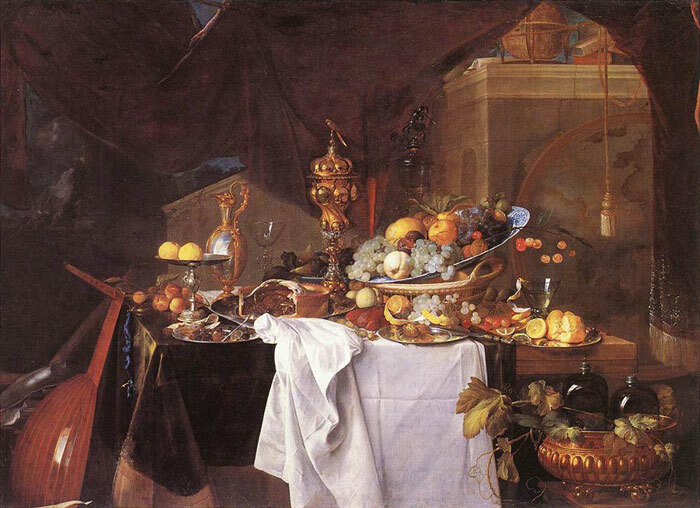 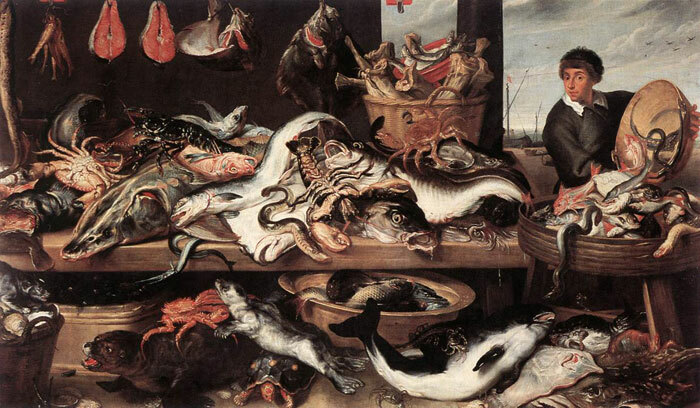 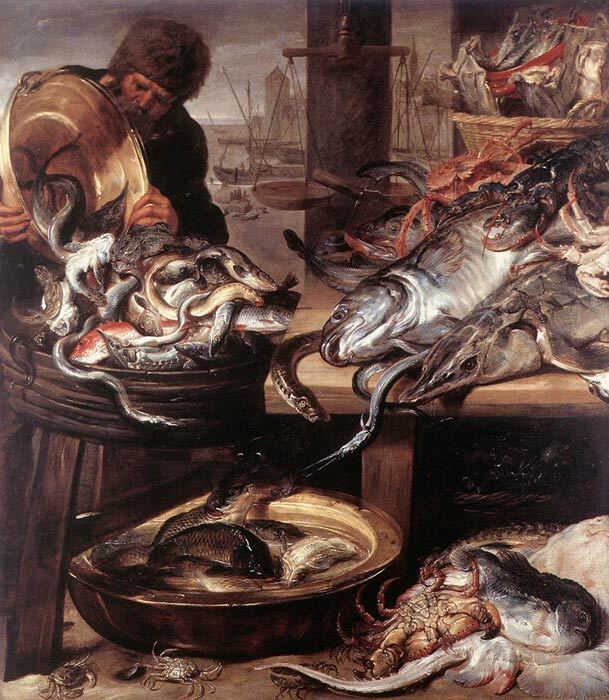 The subject is particularly associated with northern European painting, and the choice of objects very often has a religious or literary significance: wine, water, and bread symbolizing the Passion; skulls, hourglasses, and candles, the transience of life; and selected flowers and fruits, the seasons. 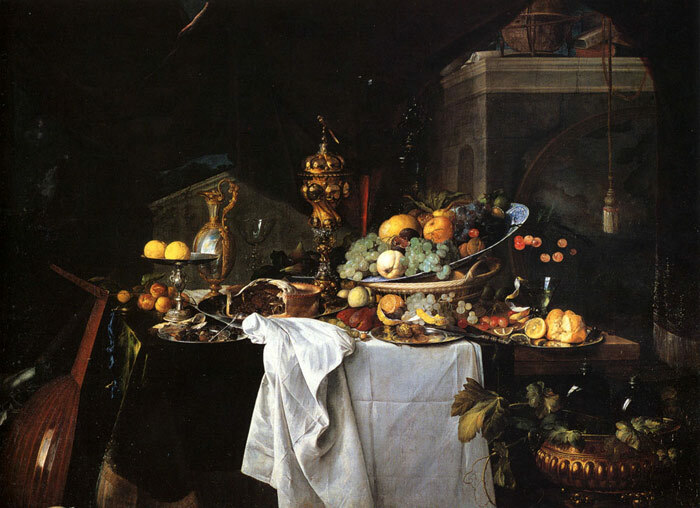 Still life has been expressed in many different ways: Giuseppe Arcimboldo's witty arrangements of fruit, flowers, and vegetables made into fantastic allegorical heads and figures; the sensuous representation of food by Frans Snyders, Goya, and William Merritt Chase; the formal decoration of folk artists or primitives such as Henri Rousseau and of modern painters such as Matisse; the semi-abstract designs of Picasso. 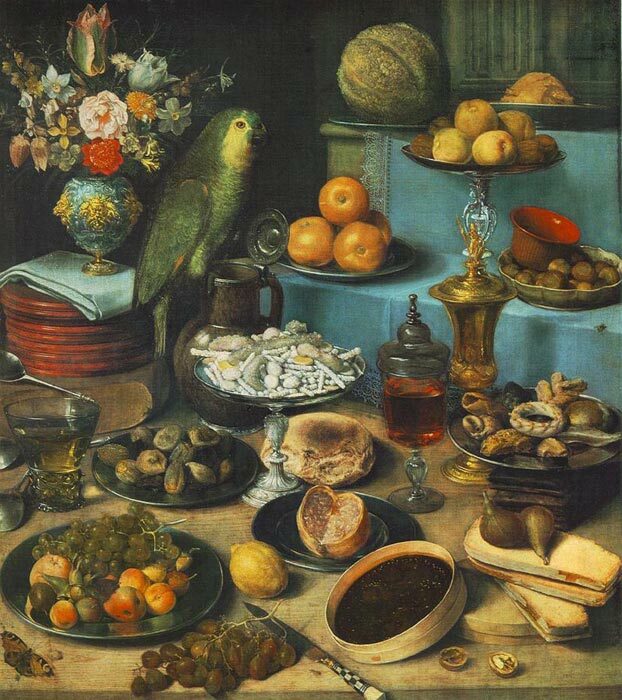 Probably at its highest level of expression, the majestic still life paintings of Chardin and Cezanne.